Boone Central Marching Band in the County Fair Parade. 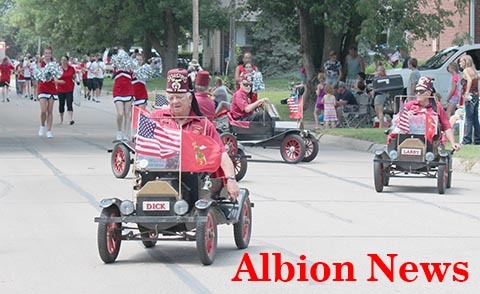 Boone County Fair Parade provided many highlights on Sunday afternoon, July 10, in Albion. 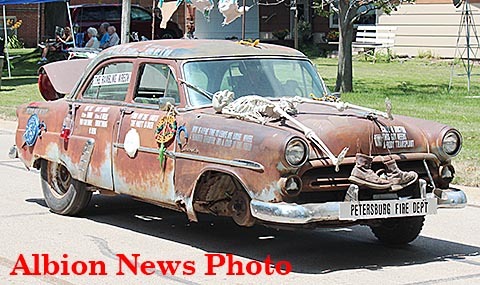 The fair theme, “County Pride, Country Wide,” was carried out with many parade entries. 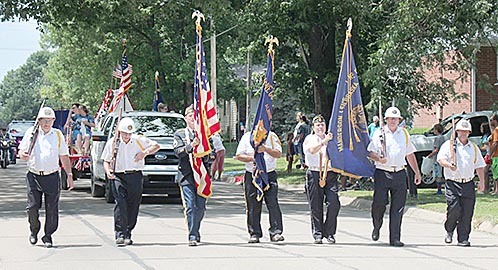 The parade saluted Vietnam veterans from Boone County as Parade Grand Marshals. These men were on the recent Honor Flight to Washington, DC, and were welcomed home by a crowd of thousands at Eppley Airfield in Omaha. 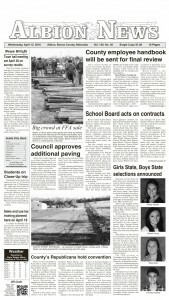 The Veterans Color Guard led off the parade, followed by the Boone Central High School cheerleaders and marching band. 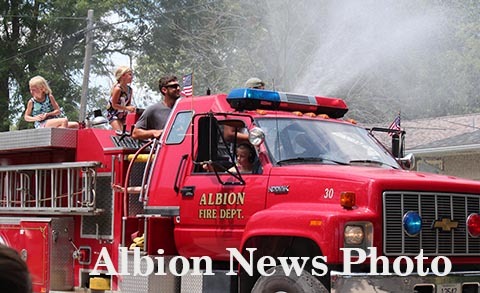 Parade entries included local fire departments from throughout the county, a wide variety of commercial floats, farm machinery and vehicles. There was even a three-wheeled car. 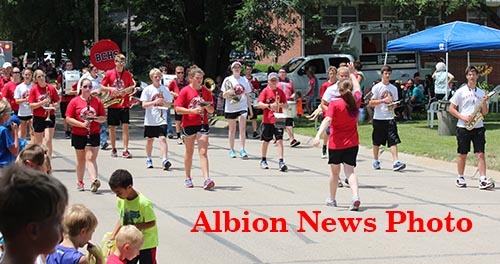 Watch the July 13 Albion News for complete parade results and photos. Veterans Color Guard leads off the parade. Fire truck sprays the crowd.